Explore the interactive map, or step through the slideshow. 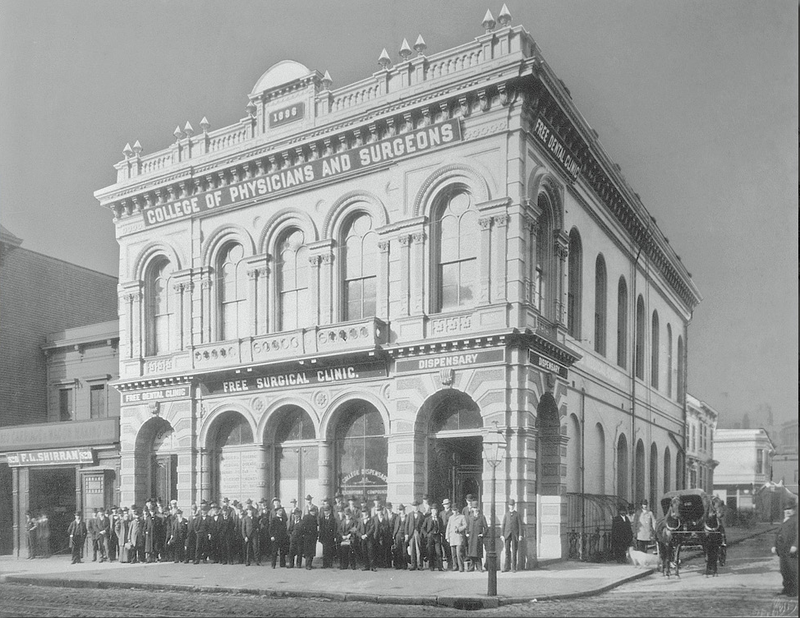 The College of Physicians and Surgeons (P&S) was founded in San Francisco in 1896, and took up residence in the rented Federation Hall on Howard Street between Fourth and Fifth Streets. By 1899, enrollment had exceeded capacity. 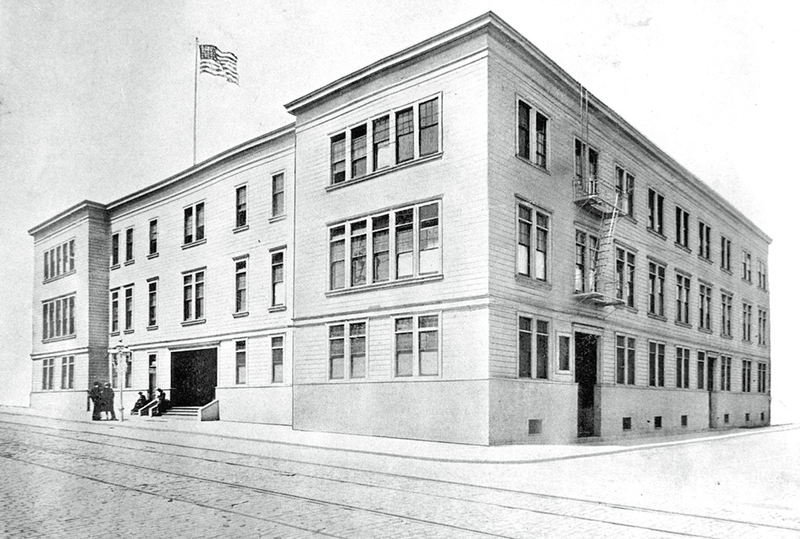 P&S moved into a newly constructed building in the Mission district in 1899. In 1906, the great earthquake and fire destroyed the school, but it was rebuilt quickly and reopened four months later. An adjacent lot was purchased in 1945 where portable clinic units and offices were set up to accommodate the increasing demand for dentists. By 1958, the school had once again outgrown its location, and began searching and fundraising for a new building site in San Francisco. In 1962, P&S affiliated with University of the Pacific and changed its name to University of the Pacific School of Dentistry. 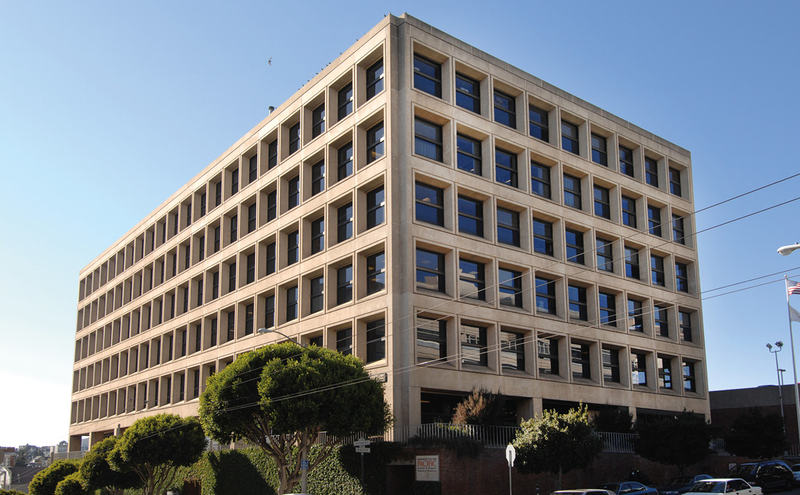 Ground was broken in 1965 for a new campus in Pacific Heights, and in 1967, the School of Dentistry “family” moved into their upscale home, remaining here until 2014. 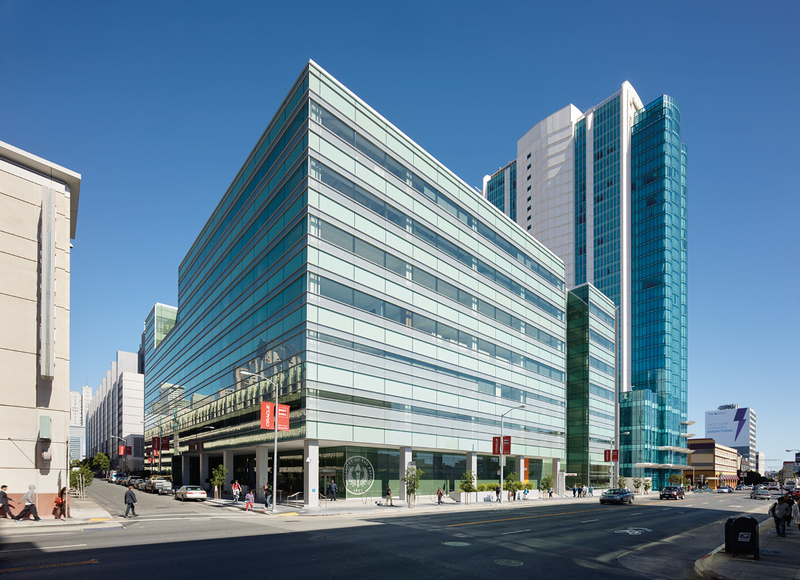 In 2004, the school was renamed the Arthur A. Dugoni School of Dentistry, in honor of its incumbent dean. Purchased in 2011, this South of Market building was completely renovated and opened in 2014 as the newest campus of University of the Pacific and the home of the Dugoni School of Dentistry. The building is just around the corner from where P&S began back in the late 19th century.